The 1960, 1961, 1962-63, 1963-64, 1964-65 and 1965-66 TYCO catalogs list the retail price of $4.98 for this freight car. 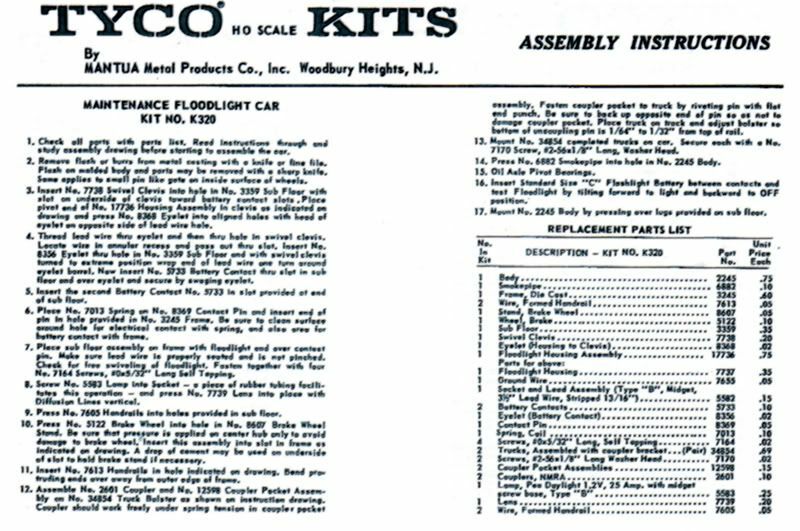 A kit for the Floodlight Car, #K320A thru #K320C, is in the 1963-64 catalog priced at $2.98. 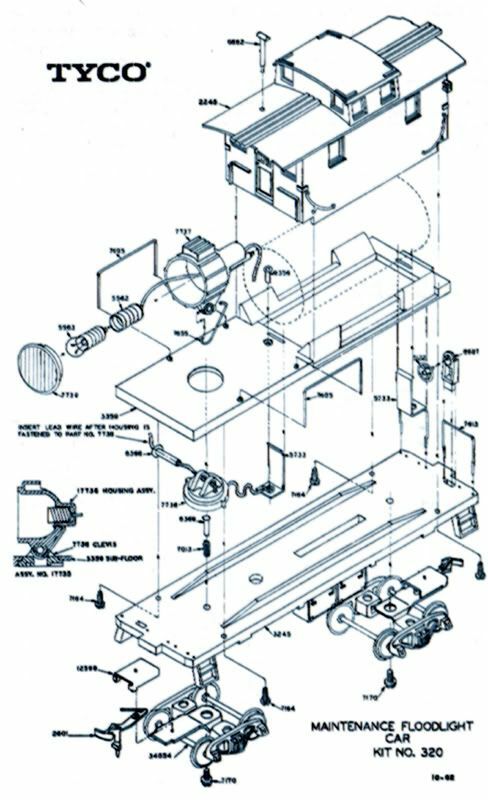 There is only one kit, #320B, available for $2.98 in the 1964-65 and 1965-66 catalogs.